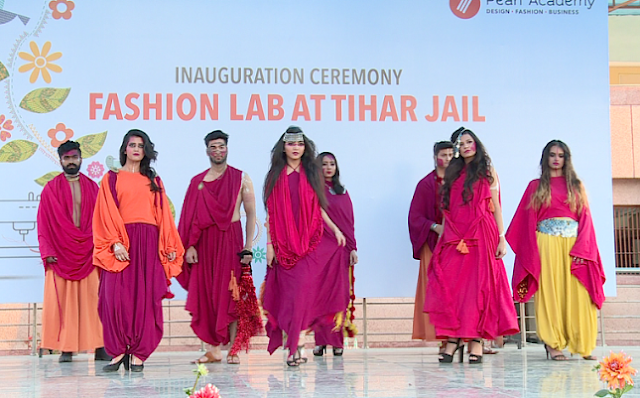 9th February 2017, Chandigarh: Pearl Academy, India’s leading institution for design, fashion and creative business took a one of its kind initiative by setting up a fashion laboratory in collaboration with Tihar Jail. Offering a unique opportunity to the women prisoners of Tihar Jail to build an holistic and independent life after prison, Pearl Academy has set up a Fashion Laboratory equipped with all the essential facilities and tools necessary for learning basics of design & construction, in the prison premises. 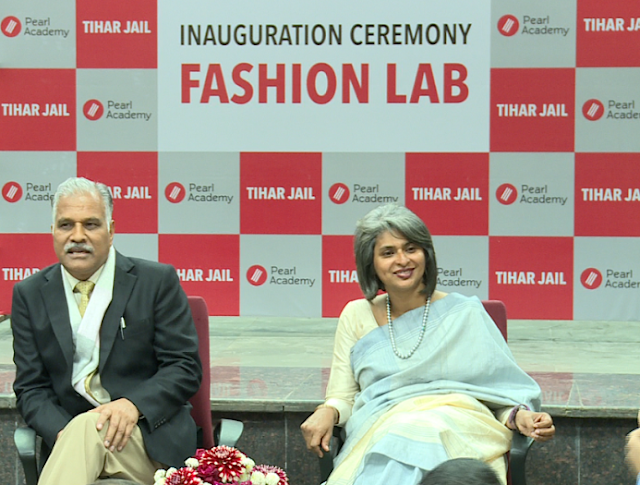 Mr.Sudhir Yadav, Director General of Tihar Jail and ProfessorNandita Abraham, CEO, Pearl Academy jointly launched the fashion laboratory. Extending their support to this unique initiative aimed at skilling and hence empowering the women inmates, Mrs.PunyaSalilaSrivastava, Secretary, Directorate of Training and Technical Education, Government of India and Mr. Abhishek Singh, District Magistrate, New Delhi were also present at the occasion. The initiative also garnered support from the fashion fraternity of India with the presence of Ms. Rina Dhaka, renowned fashion designer at the launch. 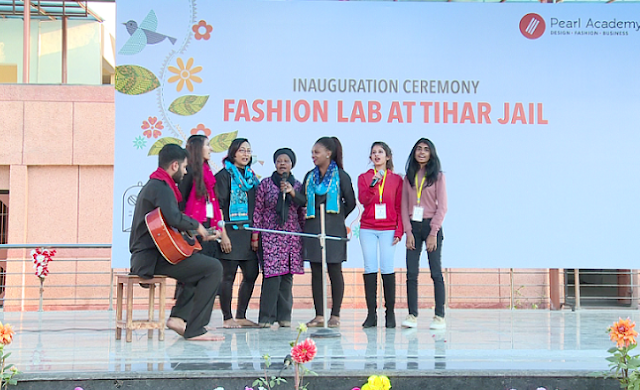 The inauguration ceremony was followed by a joint fashion show and a cultural program by the Pearl Academy students and women inmates. Pearl Academy is India’s leading institution in design, fashion and creative business and has been a catalyst to success for students across these creative industries over the past two decades. Founded in 1993, Pearl Academy is today widely acknowledged by the industry for preparing students with relevant practical and theoretical knowledge in various creative domains. Pearl Academy delivers over 30 uniquely designed under-graduate, post-graduate and professional development pathway through its campuses in Delhi NCR (East & West), Jaipur and Mumbai. Pearl Academy’s reputation of preparing ‘Industry ready’ students has been recognized by leading fashion, retail and design brands which has helped in ensuring a steady track record of securing almost 100 per cent placement record for its students.